Vinchin Backup & Recovery is an easy-to-use, reliable and cost-effective VM backup solution. It supports VMware vSphere, Citrix XenServer, RedHat Virtualization and other XenServer, KVM based hypervisors, provides excellent user experience for customers who needs data protection for their VMs, especially when they are using different hypervisors in the same virtual environment. Work for Vinchin Backup & Recovery? Learning about Vinchin Backup & Recovery? 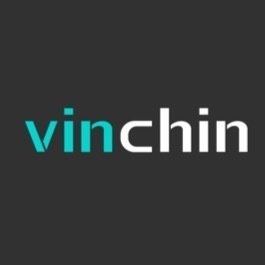 "vinchin makes it an easy work on data protection!" we have 13 xenserver 7.4 hosts are in need of protection. After 2 months evaluation, we decided to buy vinchin. Because it's a reliable product and their team is great. During the test progress, we had a few problem, honestly it is BUG, but vinchin surprised me, when we talk to the citrix support, they didn't explain why although they solved the problem finally. So we went to vinchin, Mr Yuhang the support guy was very polite and patient, explained why the BUG exists and provided me a patch in the same day. Very efficient company. No, I'm very satisifed with vinchin. I like to use it. we look forward its offsite DR in next version. Then we are able to implement vinchin in multiple location. It's very good product, with best price and best support team. You don't need to worry if meeting any problem during your usage. With Vinchin Backup & Recovery, we can easily backup our virtual infrastructure and quickly verify the data in a minute by its instant recovery feature. "Great Backup & Recovery Tool for XenServer!" This product was very easy to deploy and get setup. We originally started with a Proof of Concept environment and ended up rolling that into a full production environment! And it's working perfect so far after 5 months running. we are also in need of backup for physical servers, but we can only use Vinchin for the virtual ones. Vinchin is easy to use, and very reasonable price! If you need a on-prem backup software, choose Vinchin! It's not easy to find a backup tool for XenServer especially price is very amazing! We were limited in selecting xenserver backup tool due to our tight budget. Until we found Vinchin. Now we are using Vinchin to protect our entire xenserver virtual environment, it has all the necesary features that a qualified backup vendor should have. We appreciate it! "a very good backup software for ovirt"
I evaluated vinchin backup in my home lab. We were planing to use oVirt in the Enterprise and we were looking for a good backup solution, so we found vinchin from Google search. It was very smart backup software, I can set up backup schedule, very easy. And its retention is flexible. I can set up retention for each job and even each virtual server as per the GDPR request. I think it's running smooth, everything goes well so far. We have been using vinchin backup in enterprise ovirt backup, so far it's good and I like it. "Vinchin is a very good and fast product to backup guest VMs on VMware"
good compression and deduplication ratio. No replicate vm backups to a second location. They said new version will support, I'm expecting new version. Vinchin is worthy to buy. it is very good price. good performance and support team is the best. My company is a auto sales shop, we have 3 locations, we use vinchin to backup and restore remote site VMs, it works good. * We monitor all Vinchin Backup & Recovery reviews to prevent fraudulent reviews and keep review quality high. We do not post reviews by company employees or direct competitors. Validated reviews require the user to submit a screenshot of the product containing their user ID, in order to verify a user is an actual user of the product. Hi there! Are you looking to implement a solution like Vinchin Backup & Recovery?